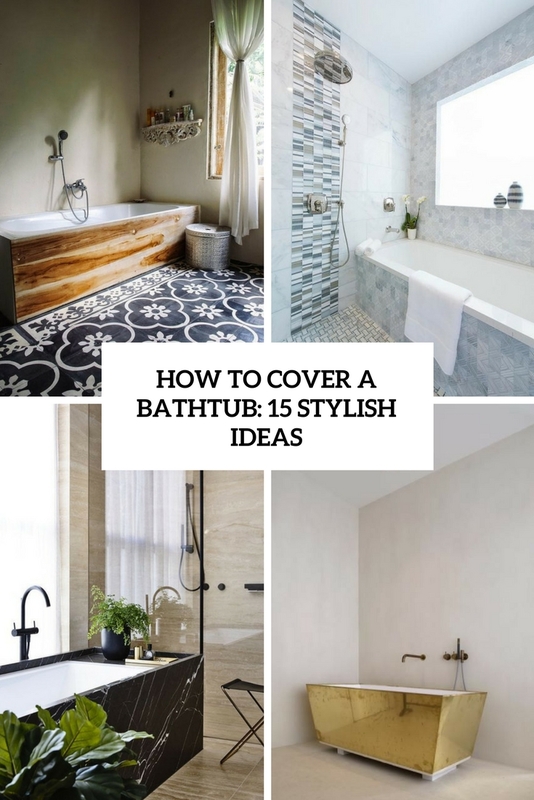 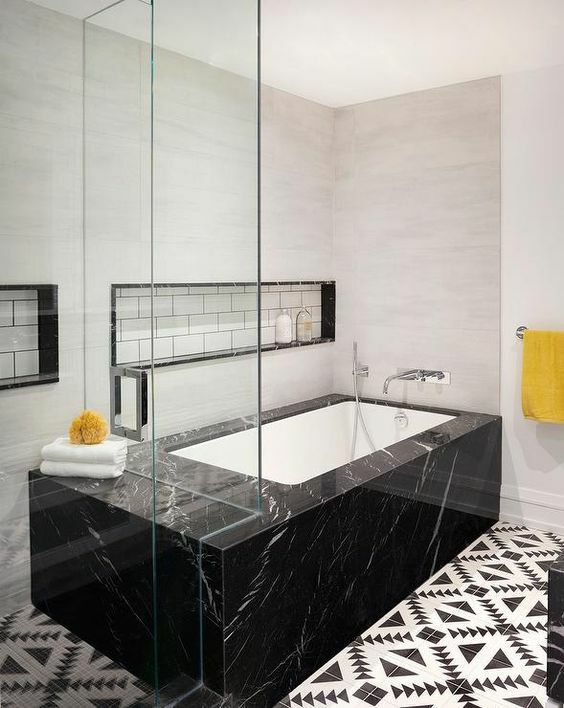 If you have a free-standing bathtub and it doesn’t look super stylish, you can cover it with some material to make it look wow, to add style to your bathroom and bring some feel to the space. 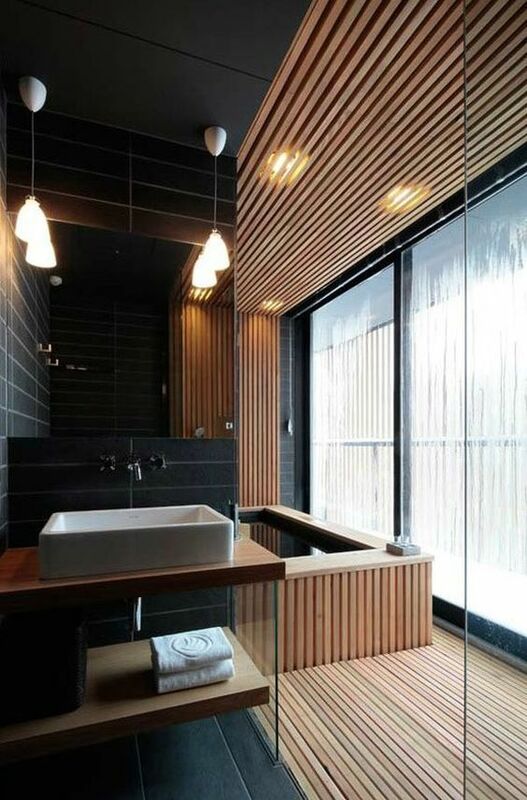 What are the ideas to go for? 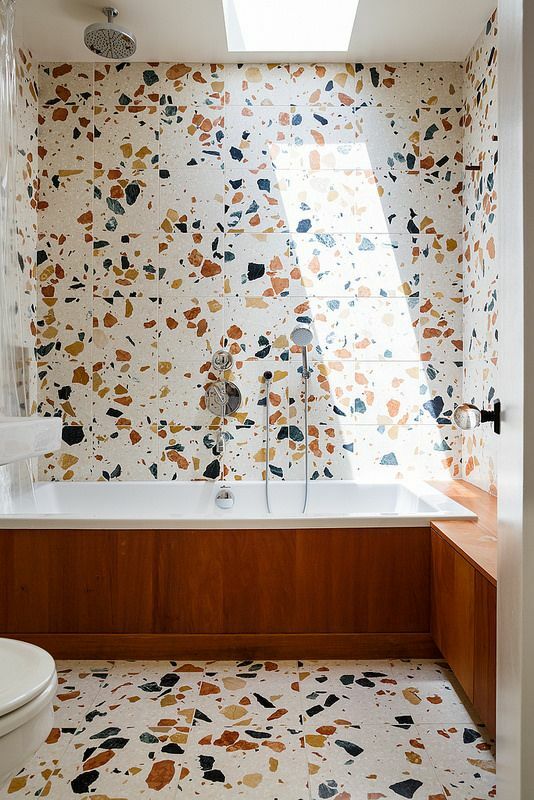 Let’s have a look! 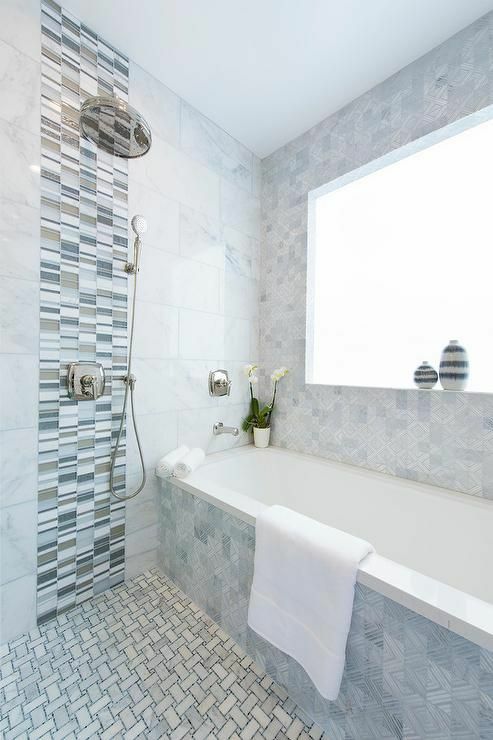 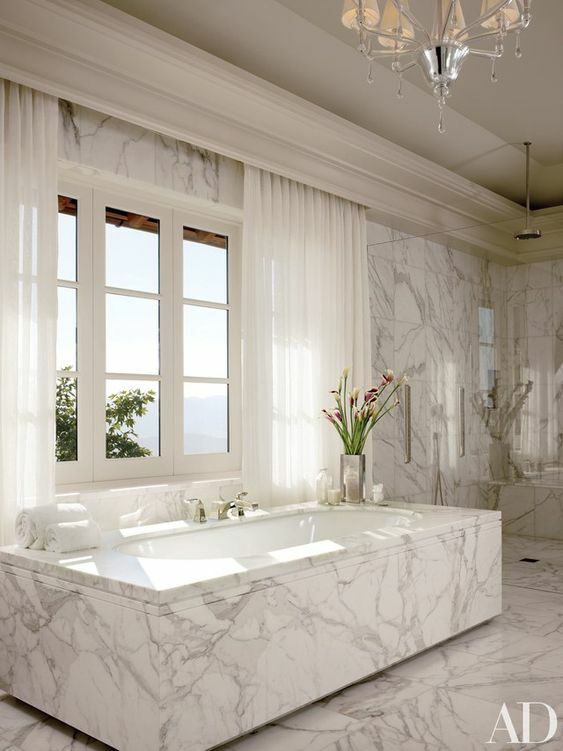 Add a spa feel to your bathroom with marble! 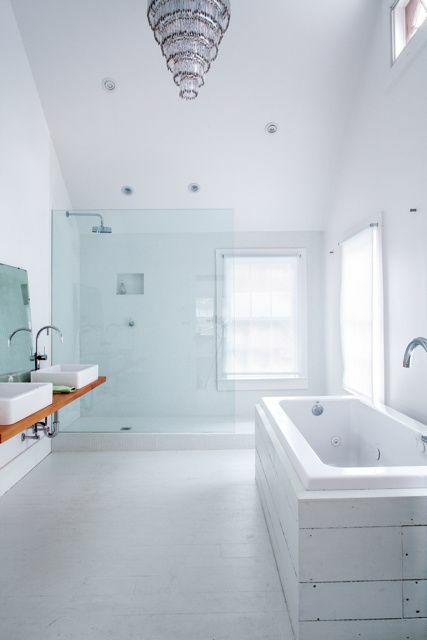 If you can’t cover the whole bathroom with it, clad the bathtub, and a wow effect is guaranteed! 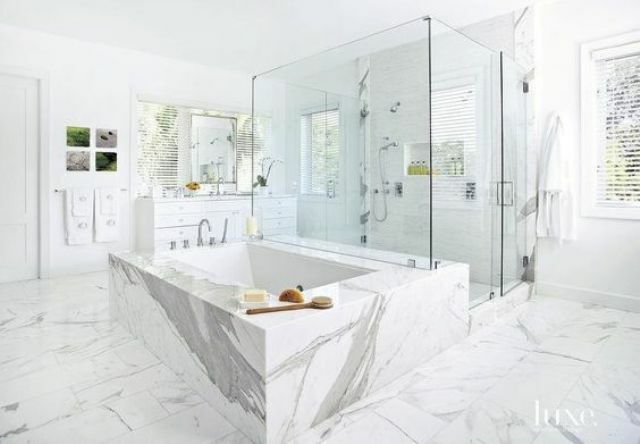 White, grey, black – any marble slab or marble panels are welcome to make your bathroom amazing. 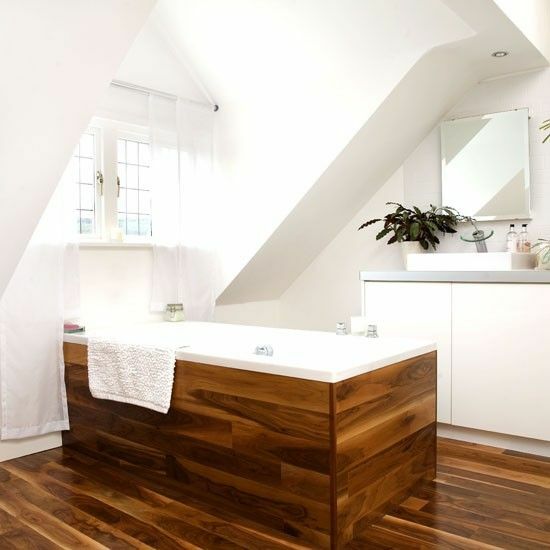 Wood is very popular for decorating bathrooms, it brings a natural and warm feel to any space. 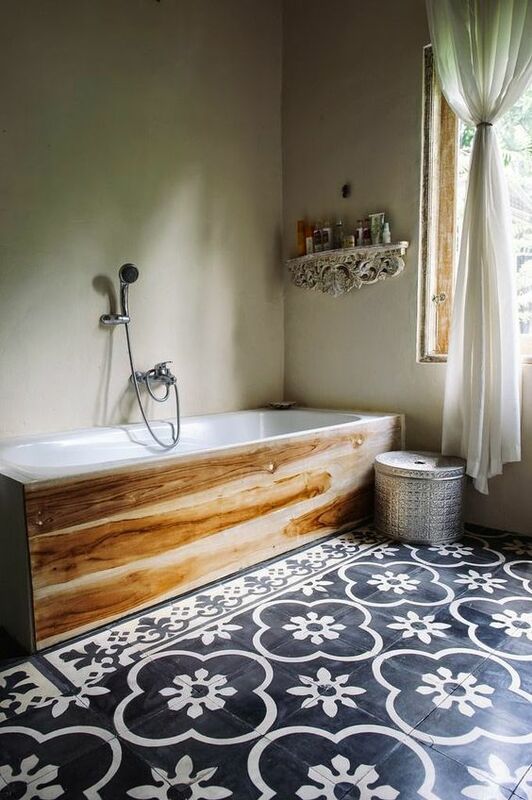 Cladding the bathtub with wood is a great idea, this way you will get a trendy touch and it can be changed any time if the wood gets spoilt with water. 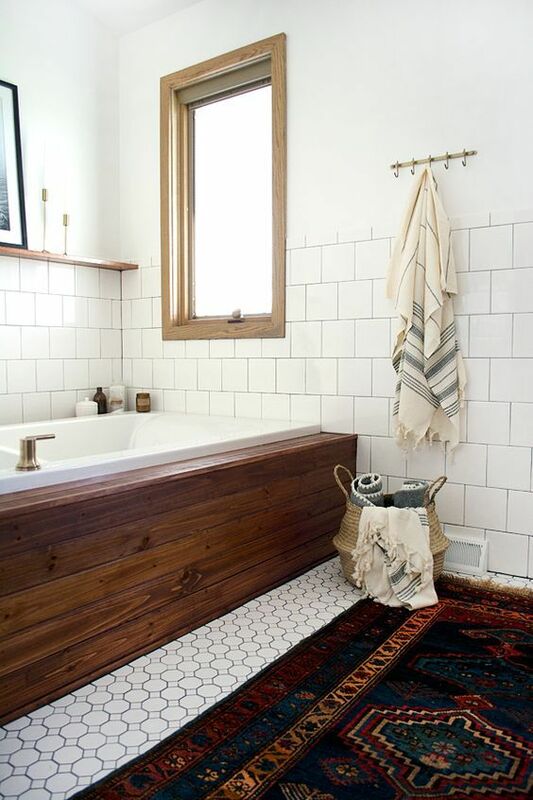 Choose contrasting bold wood to stand out or prefer neutrals to match the space decor – it’s up to you. 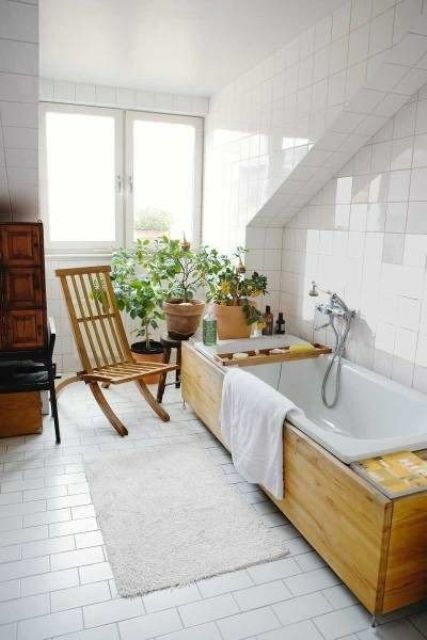 The bathtub can be clad with tiles – the same as on the walls or floor or different ones. 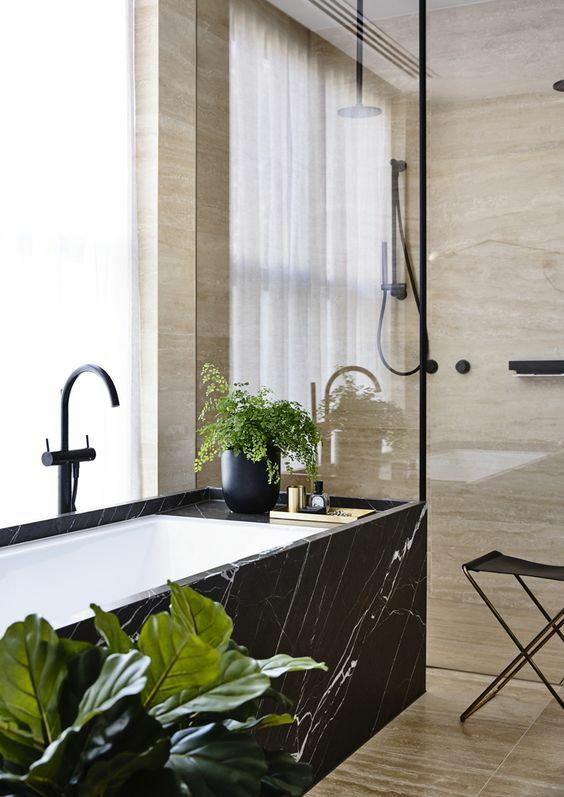 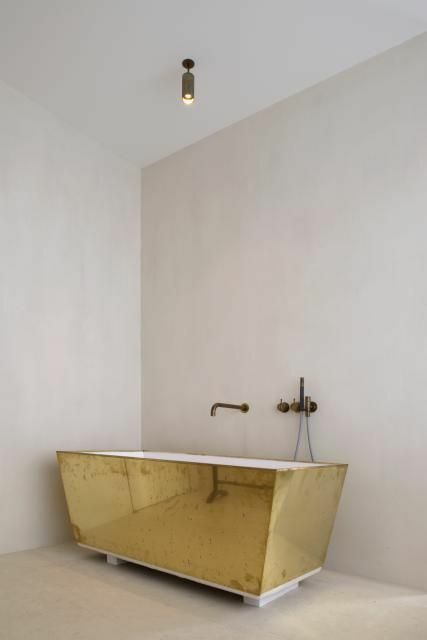 clad the bathtub with shiny metal sheets to add a glam feel to the space, or try stone, it’s cheaper than marble and looks luxurious, too.